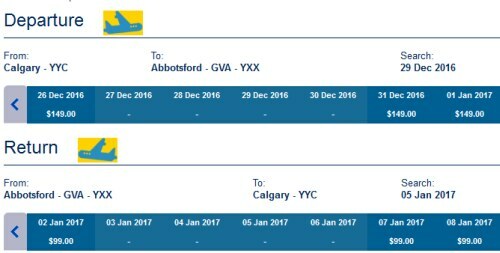 New Leaf does not officially fly out of Calgary (yet) but they are offering a handful of flights from Calgary to BC, Ontario, Nova Scotia, and New Brunswick over the Christmas and New Years holidays. Most of the prices aren't overly exciting, but the flight from Calgary to Abbotsford, BC is priced pretty well. 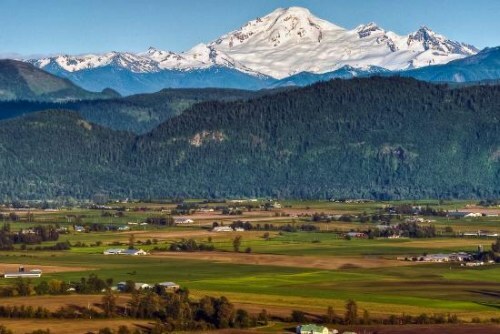 Although Abbotsford is still a 1 hour drive to Vancouver. Calgary to Hamilton, Ontario is available for $482 CAD roundtrip including taxes. 2. Search for a flight from Calgary to Abbotsford, BC (YXX). calgary, yyc, flight deals, british columbia, canada, bc, north america, abbotsford, yxx and new leaf.